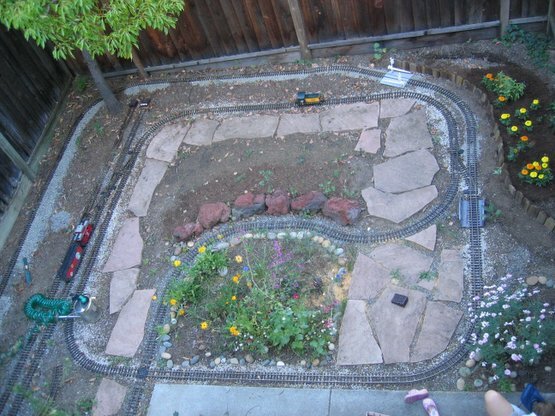 The "Little Garden & Backyard Railroad" is a narrow gauge railway situated in the backyard of our home. It runs mainly former D&RGW narrow gauge rolling stock, but some of the freight cars are actually lettered for the L&GB. This is the developing story of how we created a Garden Railway layout in our little backyard. I have given it the name "Little Garden & Backyard Railroad" - it sounds kind of neat and the acronym neatly corresponds to the manufacturer's (LGB).